My favorite parades are those in small communities. The parade in our town is only two blocks long and lasts about 20 minutes, but we always arrive early so we can get a front row seat. We don’t want to miss those great family floats! When I was growing up we always had a Hooton family float. My Mom and her sister would design and make a float for all of my Grandparents’ grandkids to ride on. 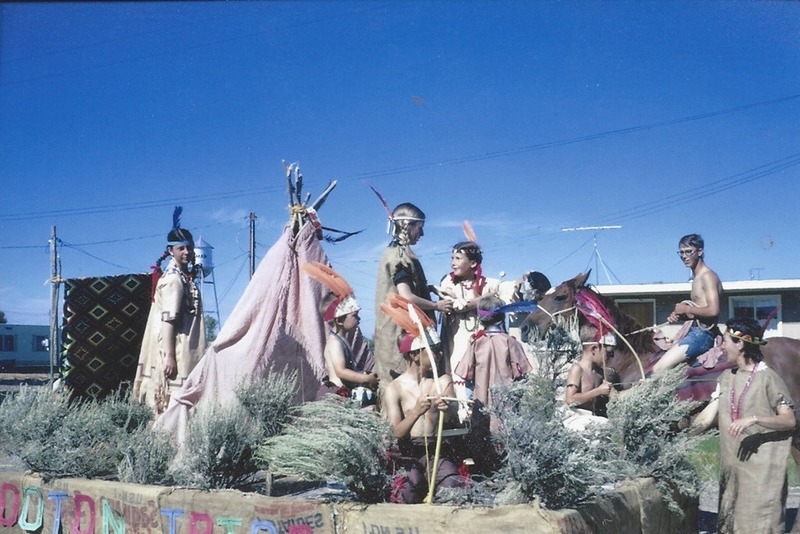 I don’t remember a lot of the details about creating the float but I do remember having lots of fun with my cousins. I also liked getting a free ticket to the local movie theater and 25 cents to buy a treat which was the prize for having an award winning float. 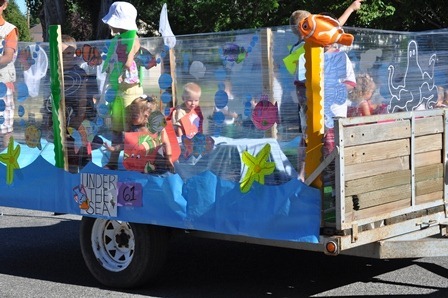 Having a family float in a local parade can be a fun activity for your family reunion. It’s also a great way for Grandma and Grandpa to show off their posterity. 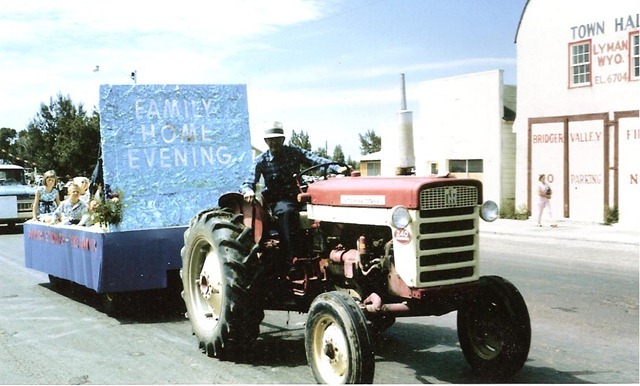 The Brown family counted all their posterity and celebrated by building the family float pictured below. #1. Be sure to register your float with the parade committee in advance. 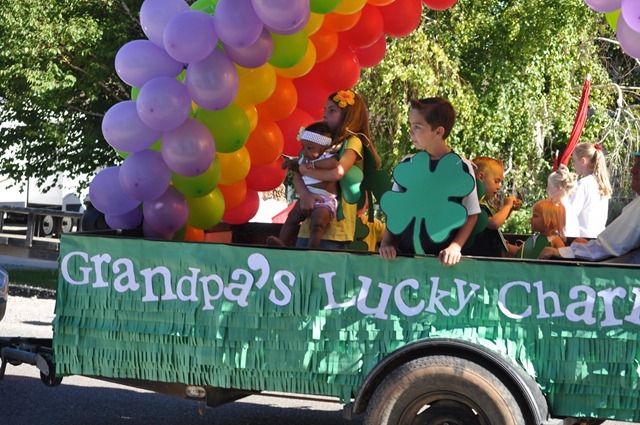 Find out the specifics about entering before you begin building your parade float. Some parades have restrictions about throwing candy or passing out flyers so find out the rules and safety requirements. #2. Once you know the size requirements and approved vehicles for floats, you will need to find either a truck and trailer or flatbed that you can use as a base for your float. If you don’t have access to a truck and trailer let your family ride their bikes or walk in the parade. 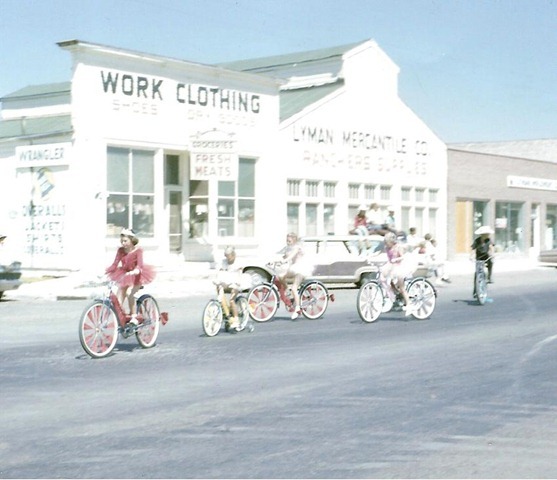 Children in the family can dress in their team uniforms, dance costumes or school shirts and ride decorated bikes in the parade. Another option is to put everyone in matching family reunion shirts and make a banner with your family name on it. Give everyone a helium balloon and wah la- you have a “walking” family reunion float. Like they say, sometimes- “less is more”. #3. Make sure you have plenty of help when assembling your float. You will have to build your float in a few hours so you will need to be organized. Be sure you have all supplies on hand. #4. Money is probably going to be an issue for your family reunion float but floats don’t have to cost a lot of money to be fun. There are inexpensive supplies that you can use to make a fun float. Colored butcher paper, paint, cardboard, straw bales and balloons can create a very nice float. Cut out props from the cardboard boxes. 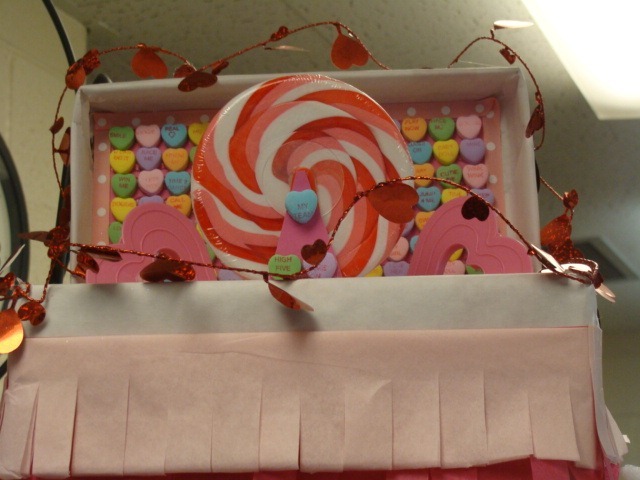 Try making props more three dimensional by using folds or tape and glue. Make them big, the bigger the better, because your float will be viewed from a distance. Paint these props colorfully and be sure to adequately secure them to the vehicle or trailer. Balloons are a great filler as are colorful crepe paper streamers. Make skirting to cover the sides and wheels by wrapping and securing colored butcher paper with tape and a staple gun. #5. Last of all, be sure you have a safe driver for your float. Grandpa is a good option if he doesn’t already have an assignment. After you have put your family reunion float together with crepe paper, balloons and staples, all that’s left is to add your family. 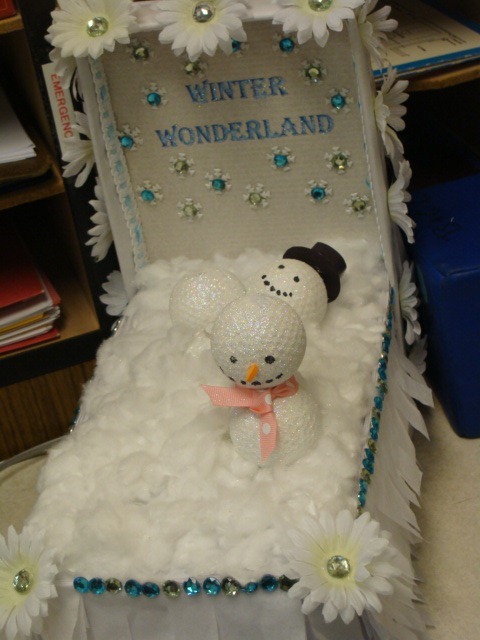 Looking for some inspiration for your shoe box float? Here’s some fun and creative floats- a picture is worth a thousand words. It seems everyone is making “shoebox floats” for their Mardi Graw celebrations and it got me thinking- how about a shoebox parade as a family reunion activity. 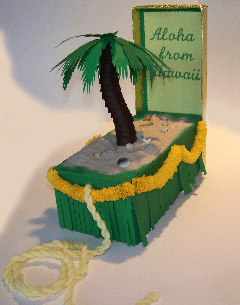 A shoe box float is just a shoe box flipped over with the lid attached to the back to form a backdrop. These boxes are then decorated like a parade float. 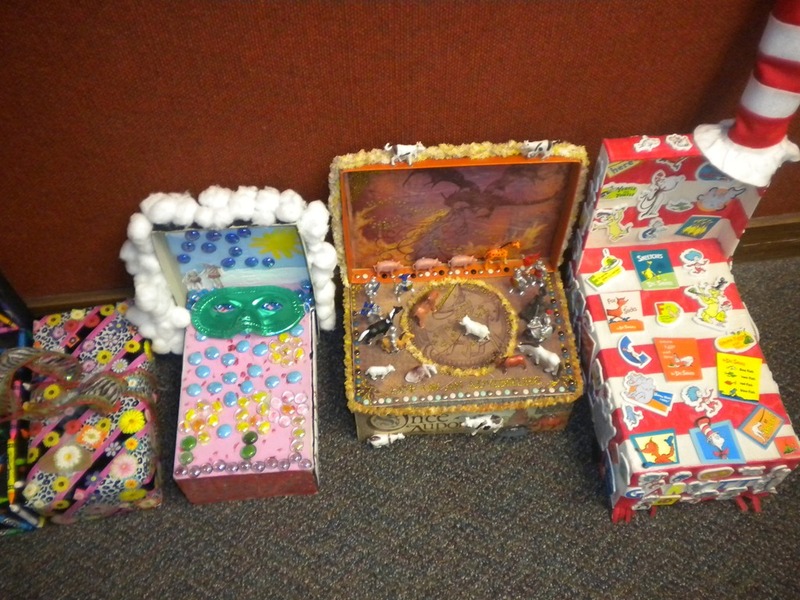 To decorative your shoe box float gather objects such as glitter, buttons, costume jewelry, feathers, sequins, tissue paper, scrap paper, small shells or rocks, tinsel, foil, markers, paint, crayons, photos, pipe cleaners, buttons, dolls or action figures, or small toys. 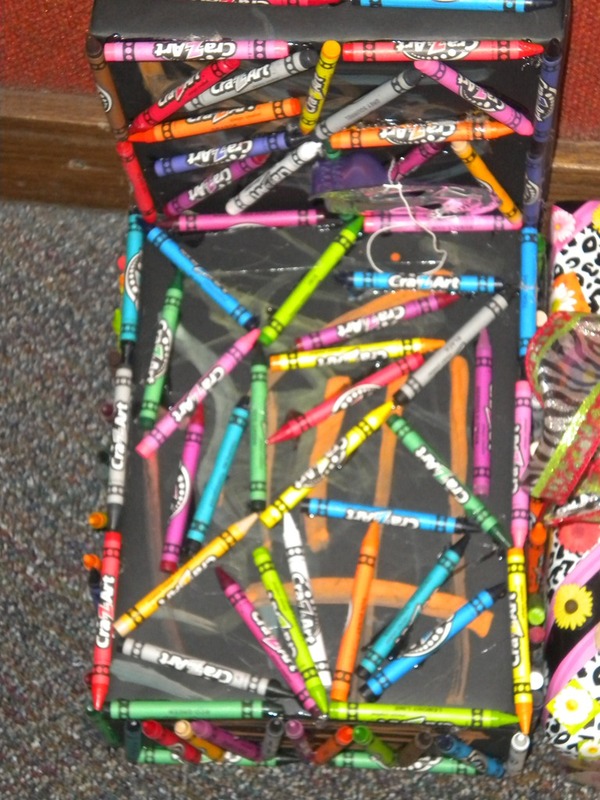 Place the large part of the shoebox upside down and attach the lid of the shoebox at one end. Paint the boxes, or cover with paper and decorate. 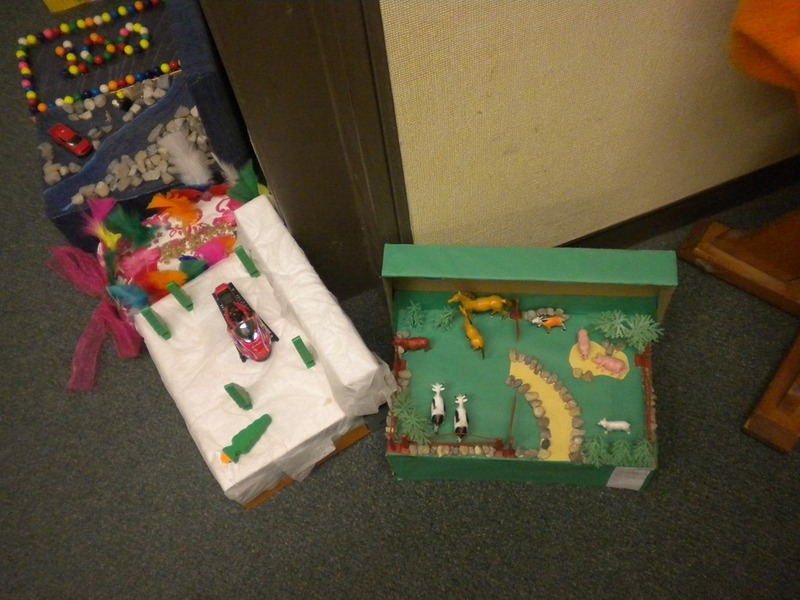 Choose a theme for your shoebox float parade. 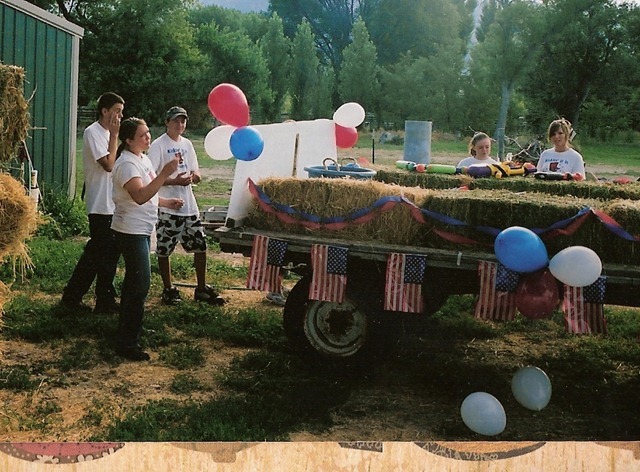 At a family reunion, you could ask participants to decorate their float to represent themselves- a great “getting to know you” activity or assign each family an ancestor to research and then decorate their float to represent that ancestor. 1. Do not place the shoebox on a piece of cardboard larger than the shoebox. 2. 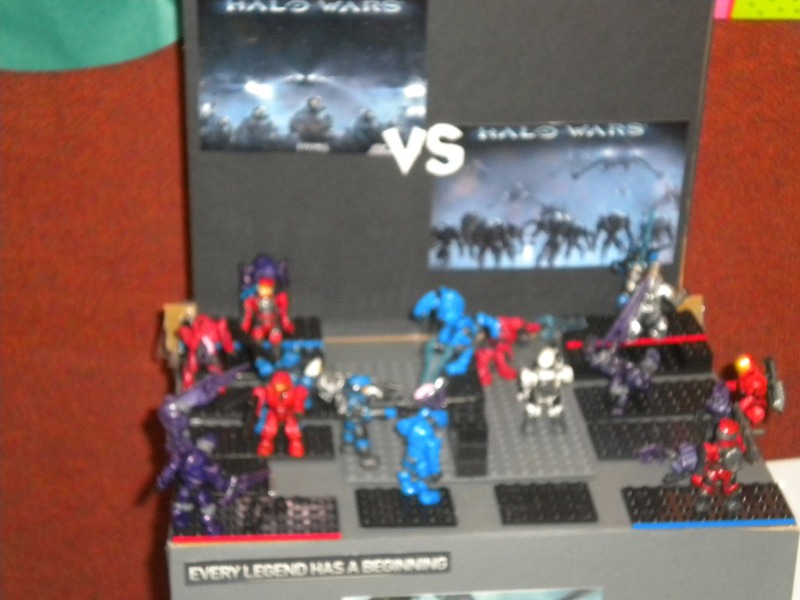 Do not create a diorama float using the inside of the box. 3. 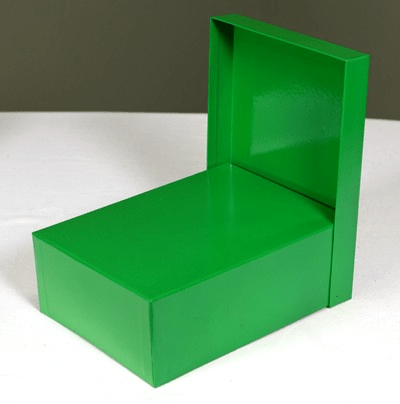 Float dimensions: The shoebox float must be made of a cardboard shoebox no larger than 13” x 9”. 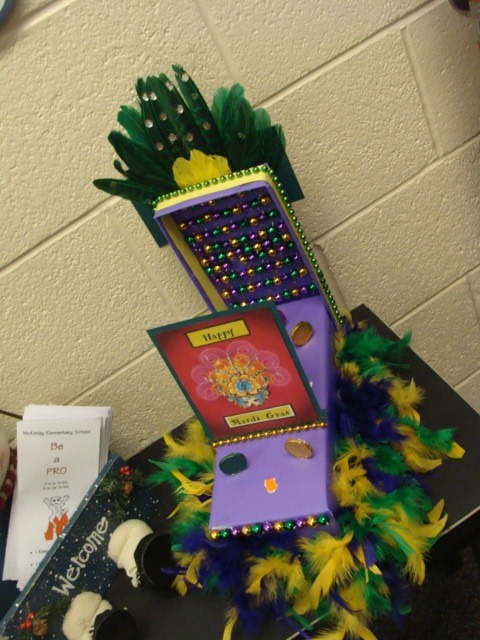 A completed decorated float should not exceed 15 inches in height..
Of course, you’ll want to give out a few awards for the “Most Beautiful”, “Most Creative Use of Materials”, “Judges Choice” and Most Unique floats. I found a great website for step by step instructions for shoebox floats that might be helpful. 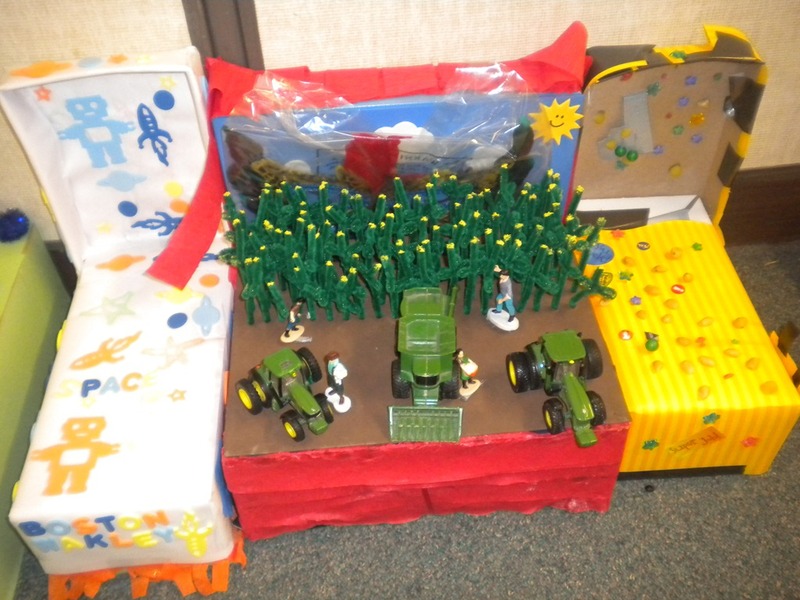 When planning your 2012 family reunion consider a shoebox float parade and see just how creative your family can be. When I was growing up we always had a Hooton family float. 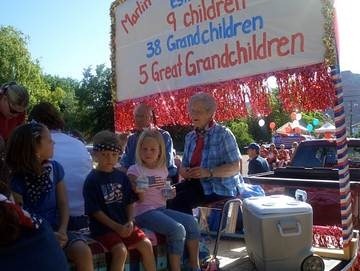 My Mom and her sister designed and made a float for all of Grammie and Gramps grandkids to ride on. I don’t remember a lot of the details but I do remember having fun on the float and I liked getting a free ticket to the movie theater and 25 cents to buy a treat which was the prize for having an award winning float. 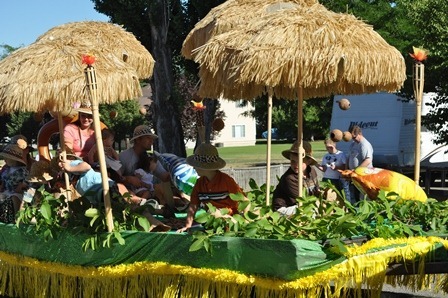 Having a family float in a local parade can be a fun activity for your family reunion. It’s also a great way for Grandma and Grandpa to show off their posterity. Here’s some tips to having a great family reunion float. #2. Once you know the size requirements and approved vehicles for floats, you will need to find either a truck and trailer or flatbed that you can use to create your float. If you don’t have access to a truck and trailer let your family ride their bikes or walk in the parade. 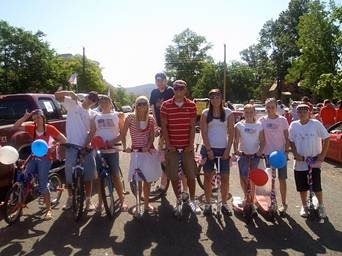 Children in the family can dress in their team uniforms, dance costumes or school shirts, decorate their bikes and ride in the parade. 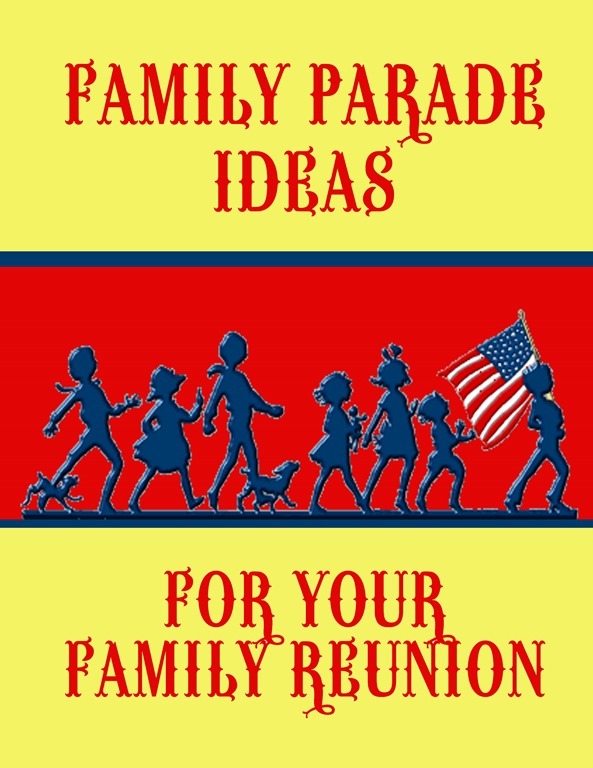 Another option is to put everyone in matching family reunion shirts, make a banner with your family name on it, give everyone a helium balloon and wah la- you have a “walking” family reunion float. Like they say, sometimes- “less is more”. #3. Make sure you have plenty of help to assemble your float. You will have to build your float in a few hours so you will need to be organized. #4. Money is probably going to be an issue for your family reunion float. Floats do not have to cost a lot of money to be fun. There are inexpensive supplies that you can use to make a fun float. Colored butcher paper, paint, cardboard, straw bales and balloons can create a very nice float. 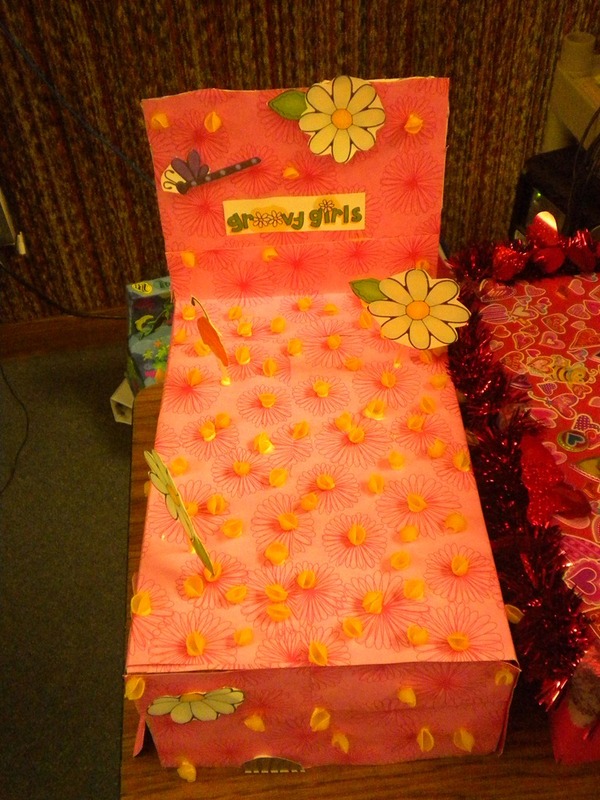 Cut out props from the cardboard, try making them more three dimensional by using folds or tape and glue. Make them big, the bigger the better, because your float will be viewed from a distance. Paint these props colorfully and be sure to adequately secure the props to the vehicle or trailer. Balloons are a great filler as are colorful crepe paper streamers. Make skirting to cover the sides and wheels by wrapping and securing with tape and a staple gun a length of heavy butcher type paper around the deck of the bed. #5. Last of all, be sure you have a safe driver for your float. Grandpa is a good option if he doesn’t already have an assignment. After you have put your family reunion float together with crepe paper, balloons and staples all that’s left is to add your family. 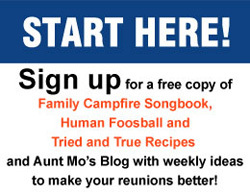 And to feed all those hungry parade goers be sure and check out “How Much Do I Need To Feed a Hundred under the “Plan a Reunion” drop down at family reunion helper.